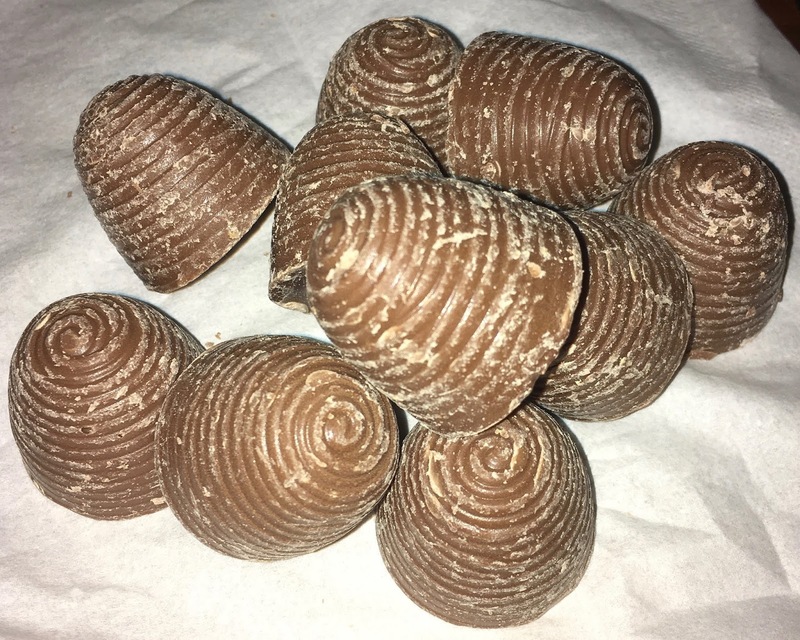 The latest item to join the “grab bag” format for chocolates are walnut whips, well ok there is no walnut, and they are not full sized either, but close enough. 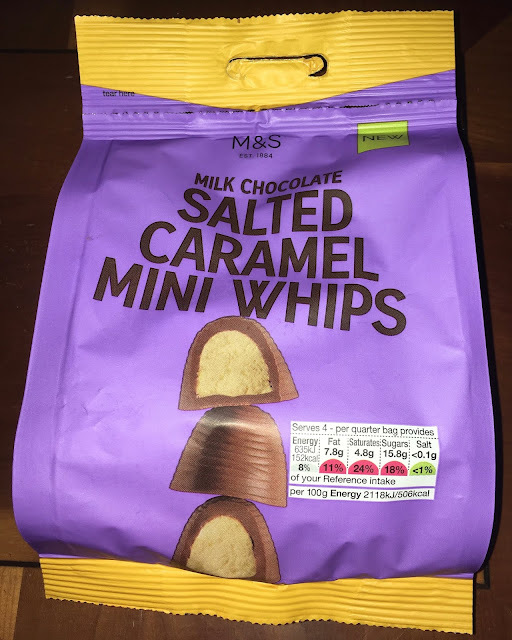 Here we have New Salted Caramel Mini Whips from Marks and Spencer. There are ten in the bag, and they are about half the size of a regular whip, that is my guess at least. Because of the packaging and them being inside a bag the whips do have white marks on them where the chocolates have grazed one another, but all are intact. Miniaturising these whips increases the chocolate ratio to the filling as the outer shell is the same thickness as for the larger whips. 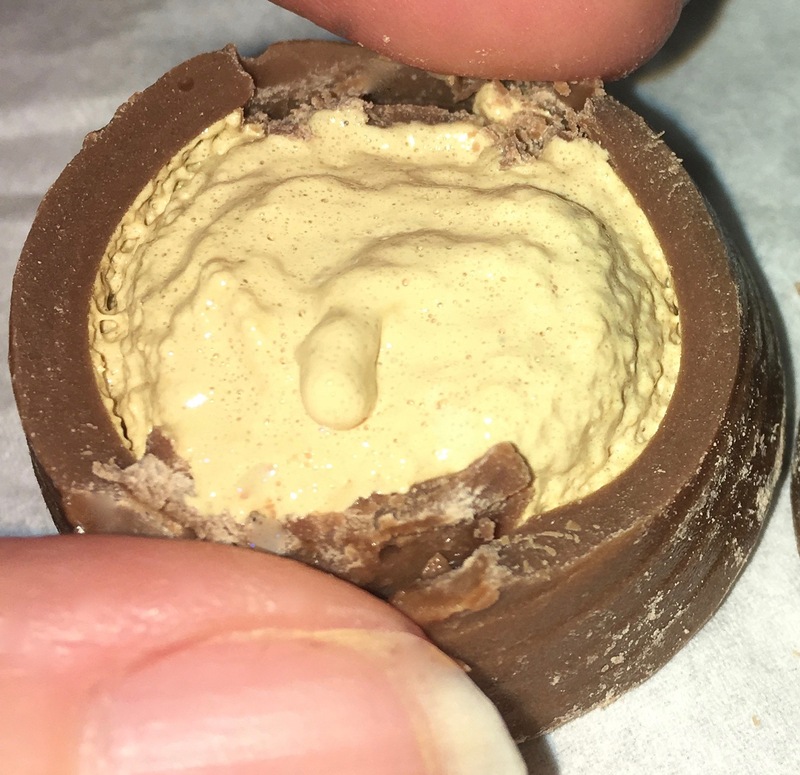 The centre though with its salted caramel flavour is still nice and strong and adds a lovely almost burnt caramel taste to the chocolates. I found I had two of these as a snack, and wondered how that compared calorie wise to eating a full size whip. I went back to have a look at the previous review and spotted that they were 135 calories none full size whip, but the originals were also surprisingly different to these whips, with there being an actual layer of caramel inside. https://www.foodstufffinds.co.uk/2016/02/salted-caramel-whips-m-by-cinabar.html That is quite a design change. As these are 152 per quarter bag (which is 2.5 whips annoyingly) then I think they are about the same over all. I like the grab bag format and it made these whips shareable which is nice, and I thought the salted caramel flavour worked well. The only downside was the lack of liquid caramel and the weird portion recommendations.